As the Leader of the Pride, our team is excited to be engaging in a new way to office in Austin — what we are calling “Home Base.” Home Base is a unique combination of branded coworking office space and remote working. This blog post will help explain the reasoning behind the direction and the core challenges leading up to our decision to break from the traditional office. We hope you come along for the ride for Part I of our mini-case study. For more than 6 years, the White Lion Team has enjoyed traditional office space downtown at 511 W 7th street. On that note, I had been a fan of Marrisa Mayer’s decision to pull all of Yahoo’s remote workers in the office agreeing to a shot at higher rates of innovation and quality collaboration when team members meet in-person. However, my traditional office space thinking has been rapidly evolving with some of the issues my team has faced. As for our team and culture, seeing each other each week has been important. At the same time, the confluence of three factors started to drive a discussion of the future of our office arrangement. Our roadways aren’t holding up well as 157 people per day move into the Austin area. The traffic we now face in Austin is a serious issue and is frankly unsustainable as commute times are exploding. For example, one of our team members that resides in Pflugerville faced recent commutes to our office in downtown Austin which lasted over two hours both ways! Clearly traffic has a negative impact on a team’s productivity. More traffic also means more carbon being spewed in our air. Increased congestion combined with rising home values puts an even higher burden on team members making it to work as they need to find housing in many cases further out. In late 2014, our team rolled out Freedom Fridays, which asks all team members to avoid scheduling any meetings on Fridays. Friday has been designed to be a remote work day allowing each team member to focus on finishing the work week in stride. What we learned was that our team really enjoyed having a remote workday. I remember – with a bit of a shock – when I was presented with the total cost of ownership for our downtown office. The annual six digit number represents the highest cost factor second only to team member salaries. When mulling the total number, the question I asked myself was…”Is this six digit amount worth the investment?” Then we polled the team to compute the amount of time and number of miles each were driving per week. We calculated as a whole the weekly commute represents more than 50 hours of our team’s combined time each week. As a team we learned we are racking up over 25,000 miles each year on Austin’s congested roadways. A Single Weekly In-Person Meeting: We realize the importance of seeing each other each week in-person to keep the heart beat and the pulse of the organization. A large conference room like the one we enjoy now was a true need. Parking: We would need to find a location allowing for easy parking for all team members which we would learn is a growing challenge in many parts of Austin. Cool Vibe: Being in some really creative spaces over our 20+ year run in business, finding office space with a engaging feel was at the top of the list. Signage: Finally, having White Lion signage and some branding both on the exterior and and interior of a space was a top priority as we often engage both clients and prospective clients at our place of business. Meeting Assessment: Assess all existing meetings and identify which were needed as in-person and which could be done virtually. In-Person Meeting Times: To avoid being in the teeth of Austin traffic, we agreed to only schedule face-to-face meeting between 11:00 AM and 2:00 PM. Thanks to Tom-Tom City, here is a snapshot of Austin traffic at 1:00 in the afternoon. The Big Sync: We agreed to move our one “All Hands on Deck” weekly team meeting from Monday to Tuesday and bump back the meeting to start at 11:00 AM. In-Person Meeting Scheduling: We agreed to schedule any needed in-person meetings on Tuesday after The Big Sync. If no meeting times were available, Tuesday afternoon, then Wednesday would be the next best option followed by Thursday. Fridays remain off limits unless there is an emergency. As a footnote, during the pilot we learned a restrained mix of a weekly in-person meeting combined with an increase in remote working days was having a dramatic impact on team member satisfaction and overall productivity. We polled our team and found our team satisfaction increased overall as a result of the pilot. 46% of White Lion team members stated how their happiness level increased, with over 30% claiming how they were “over the moon” happy with the increase in remote working. Were We Really Ready for a Higher Mix of Remote Work? Being an interactive agency specializing in digital marketing, custom web site and web application design and development, we already had a robust toolset in place that would lend itself to a higher amount of remote work. Further, our culture is one based on accountability and getting what needs to get done…done. During the pilot we put our tools to the test. We added ScreenHero and changed from HipChat to Slack. We also transitioned our file storage to Dropbox. Voice Communications: Our VOIP phone system powered by RingCentral allows for calls to be transferred between remote offices like a traditional phone system with business level quality. Email, Calendar, Contacts and Personal Tasks: We are fans of Office 365 and have been using hosted Exchange for several years after migrating off of an internal Exchange server. Code Management: Every project needs a consistent development environment. Vagrant allows us to configure any development environment we need per project. This ensures that all devs working on a project are working on the same environment, keeping the focus on the code and not having to deal with potential conflicts or requirements on their own systems. Sales Automation: Our team continues to use Salesforce. File Storage: The direction pushed us to leave our Active Directory based network file storage and embrace Dropbox Business. The Selective sync Dropbox feature makes it easy for team members to sync only the folders they need replicated and accessible from their hard drives. Internal Discussions: Our team uses an internal forum powered by SMF to organize discussions by department. Project Management: Our team uses the cloud version of Jira by Atlassian. Process & Knowledge Capture: Also from Atlassian, our team uses Confluence to centralize all processes, checklists and referenceable information. Instant Messaging: Recently switching from Atlassian’s HipChat offering, our team enjoys using Slack for internal messaging. Internal Screen Sharing: A fast way to get internal solutions is by sharing screens. We have enjoyed adding ScreenHero for easy screen sharing. External Screen Sharing: We like using our branded Join.me page for sharing screens with the outside world. Accounting: We have moved our QuickBooks Enterprise account to the Intuit powered remote hosting platform. We are also keeping our eye on the improved version of Skype as Microsoft gives the platform a new cloud powered engine. The adventure continued as we were actively on the hunt for a cool working space with ample parking and access to a large conference room. We toured many lease and sublease options with no clear winner. At a certain point, a high degree of concern started to set in. Being out of the office space market for some six years, I was also learning first hand how Austin has some of the highest office rental rates in the nation. Then as if by divine appointment, I happened to circle back with Trent Sultemeier whom I had met a while back at an Austin networking event. We decided to meet at Trent’s new coworking space he was building out in East Austin called, Atmosphere Coworking. For some background, my team wasn’t actively considering a coworking space as having exterior and interior signage and branding were not available. As I toured Atmosphere and heard Trent’s compelling vision for the space, I threw out what I was looking for mentioning the needs for exterior and interior signage. Moments later, I was delighted as Trent was open and agreeable to have both interior and exterior signage for White Lion. That day, Trent and I had a go-forward agreement. Aspects of the agreement included having enough dedicated desks for those who will be in the coworking space often, along with enough day passes for everyone else. We will also have access to the 20-person conference room along with the other meeting rooms in the facility as needed. The agreement represented a total office cost savings of over 80% of the six digit annual investment we have been paying. As the collaboration over the space continued, Trent also saw a new way to differentiate his coworking space from others. 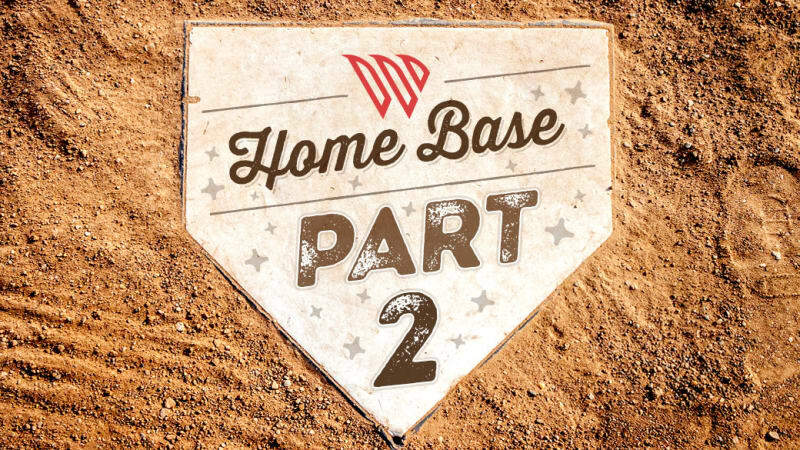 In fact it was Trent who came up with the “Home Base” moniker. Anyone who walks, jogs or runs around Lady Bird Lake in downtown Austin knows the contagious energy of everyone else striving to become more fit. In a similar way, now that we are going to be in the Atmosphere Coworking space, even though our entire team won’t elect to be present each day, we will all feed and contribute to the common work energy each day within the space. More Time for What Matters: The time our team is getting back from not being stuck on Mopac or I-35 is nothing short of massive. Mileage Savings: The decreased wear and tear on personal vehicles along with gas savings and much lower overall carbon footprint is significant for our team as a whole. Company Savings: The six-digit annual cost savings is tremendous. Office Dynamic: Our team will be able to experience the energy and buzz of a coworking space while contributing to collaboration with other members in the space. Loss of In-Person Connection: It is true we are left with only one weekly in-person meeting for the most part which has resulted in less face-to-face time. Separation of Work and Home: For some on the team, the commute to work represented a clear delineation between work and home life. The lines are a little blurrier now and call for more working discipline and smart boundaries. As commute times get worse across our great nation, businesses need to be an active part of the traffic solution. I encourage more business leaders to consider the Home Base branded coworking office solution as a step towards cleaner air, less cars on the roadways, lower costs all the way around and most importantly, happier and more engaged team members.